Water Chillers adopt shell-shape condensers with the features of rapid heat transmission and excellent heat dispersion. This series can be afforded cooling ranges from 5~35?, even lower to 3? (temperature controlled accuracy at ±1?). 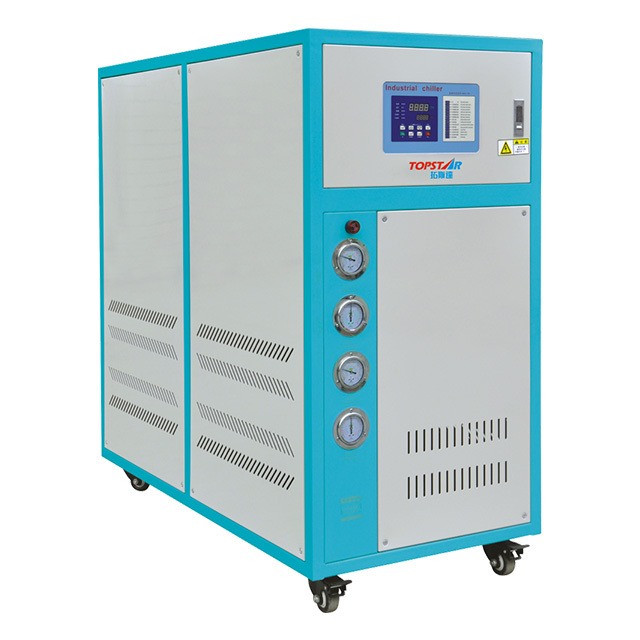 The compressors’ power range from 3HP~50HP and cooling capacities range from 7800~ 128500 Kcal/hr. 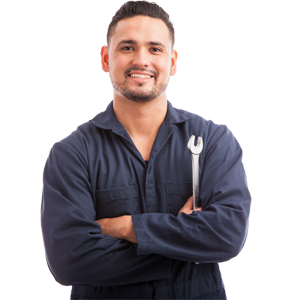 To adopt imported superb compressors and pumps to ensure safe & quiet running , power saving and durable service life. To employ microcomputer with easy operation which can control temperature within ±3? to ±5? precisely. Unique design for condenser and heat- dispersion unit result in excellent heat-exchange effect. To equip with electrical current overload protection, high & low-pressure switch, electronic timer delay safety device. It will alarm to display faulty while any malfunction occurs. To adopt with internal 304 stainless steel insulated water tank with durable service life for easy cleaning & maintenance. Complete safety devices including power reverse phase & power short phase and anti-freeze protection. Ultra low temperature type of chillers can reach below -15?. 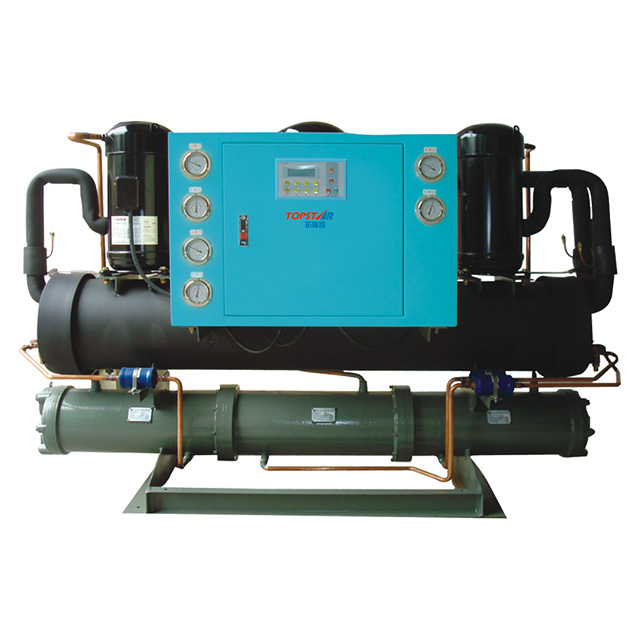 Chillers for anti-alkaline & anti-acid type can be customized.